Subscribe to our email list to stay informed! This was the last movie review Roger Ebert filed. 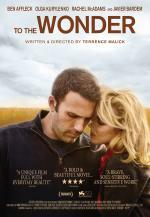 “Released less than two years after his The Tree of Life, an epic that began with the dinosaurs and peered into an uncertain future, Terrence Malick's To the Wonder is a film that contains only a handful of important characters and a few crucial moments in their lives.